Did you know that it is considerably less expensive to run a laptop or notebook than a desktop computer? They use approximately 90% less energy! Laptops may be a bit more expensive to buy, but you will see a great savings on your energy bill. So, the next time you need to replace your computer, you may want to consider buying a laptop. An added bonus…they are much easier to carry around. 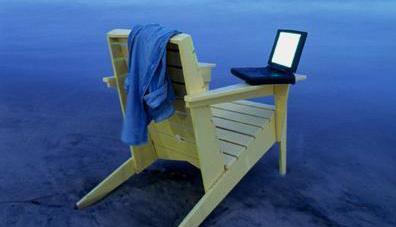 I love taking my laptop to the beach. Next postDo you need help writing, rewriting or updating your resume?